Meetings are held in the library’s meeting room on the third Thursday of the month at 5:30 pm. The Friends group helps with many of the library’s special events including a monthly Silent Auction comprised of donated items from the community. 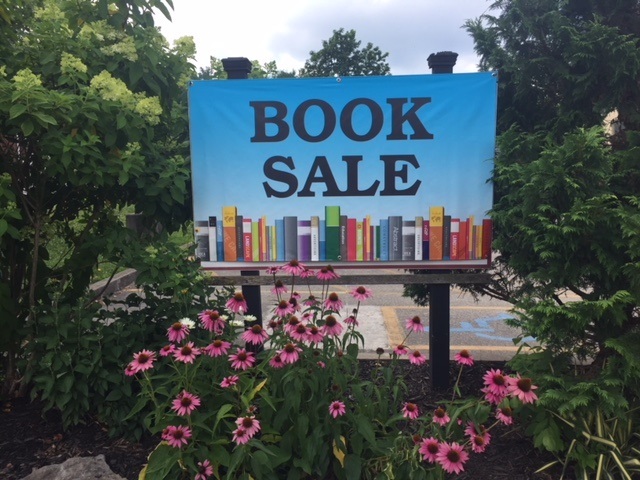 They also coordinate 3 large book sales a year. Proceeds from these events continue to help support the library. Individual dues are $5.00 a year. Lifetime dues are $50. 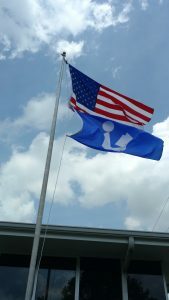 Mission Statement: The purpose of the Friends of the Library shall be to maintain an association of persons interested in libraries:to stimulate the use of the library’s resources and services; to receive and encourage gifts, endowments, and bequests to the library; to support and cooperate with library services and facilities for the community. 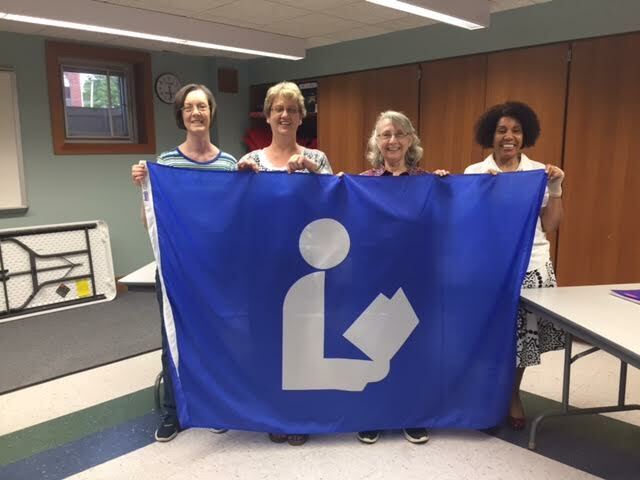 The Friends of Melton Public Library recently purchased a new flag with the International library logo on it! We are displaying it proudly!